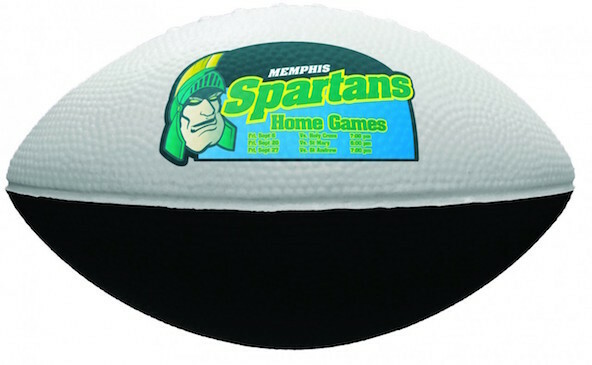 7" two-tone foam footballs are soft and durable, available in a variety of two-tone colors. Product Size 7" - measured with arc of ball. Note With Full Color Printing, we print on a transfer material that is permanently adhered with heat. Production Time 5 business days. Rush: 2 business days ($15.00 charge per 50 balls per side applies and virtual proofs are not possible with rushes). Rush not available with Full Color prints. Express shipping options available at check out. Production times are usually firm, but may vary depending on production schedules. Football is a good product, good quality, nice printing - customer service highlighted an issue with our image quality, which was corrected and but didn't impact our delivery time, which was earlier than contracted.